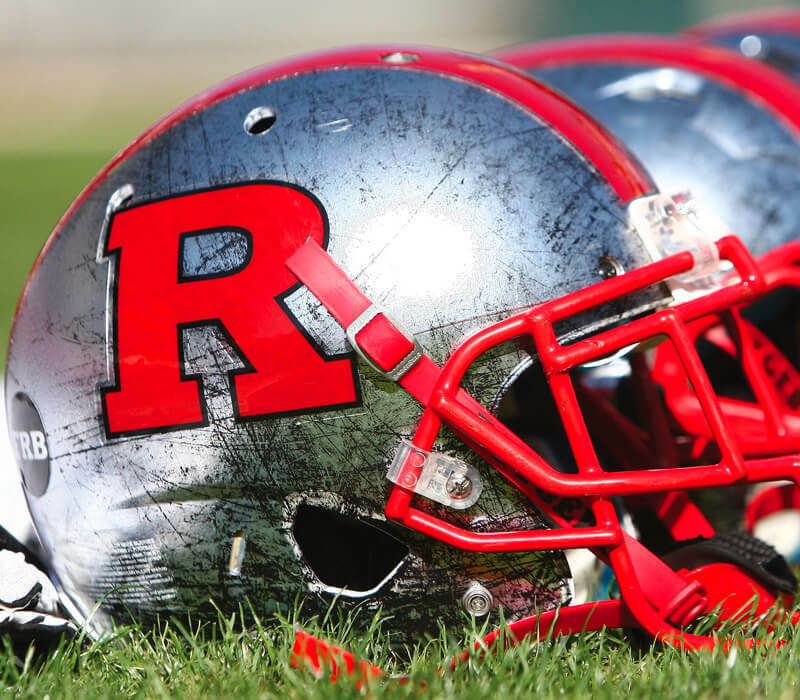 We’ve been designing the Rutgers Athletics Guide for several years now, and it’s always a project we look forward to! 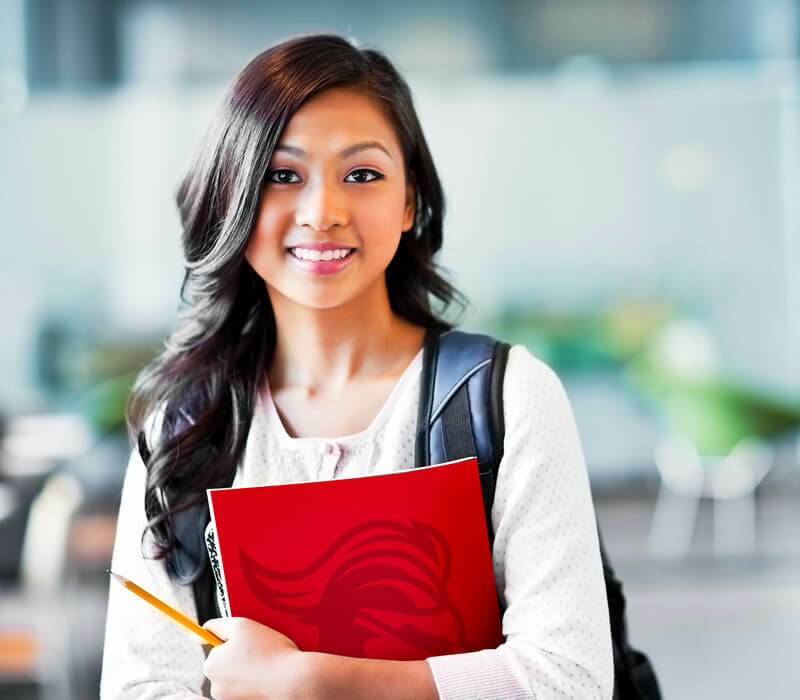 This year, the university needed two separate versions: one for students, and one for visitors.  These booklets feature the school colors and the Scarlet Knight mascot, and they include all of the information fans need - plus information from sponsors. 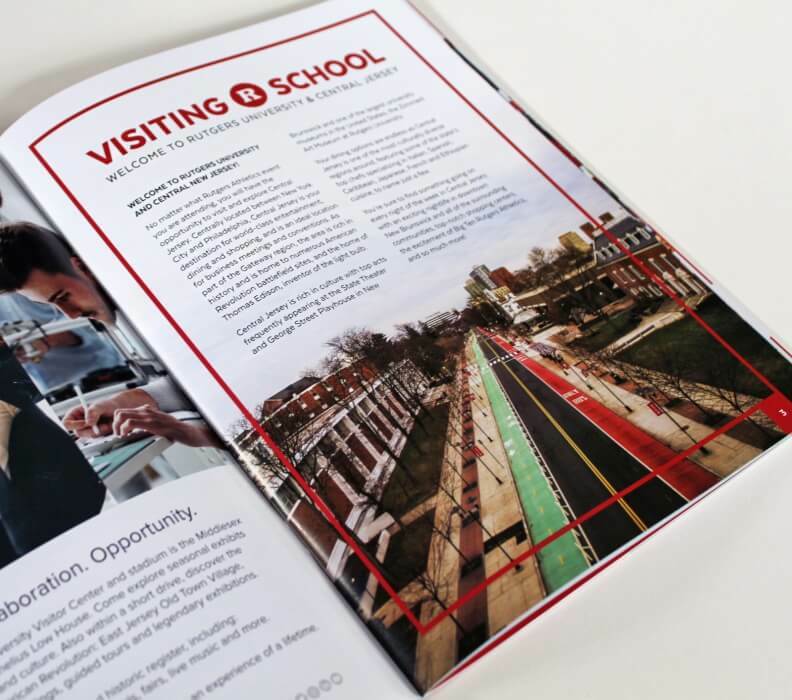 We printed saddle-stitched booklets, with a thick glossy cover and matte-finished interior pages. 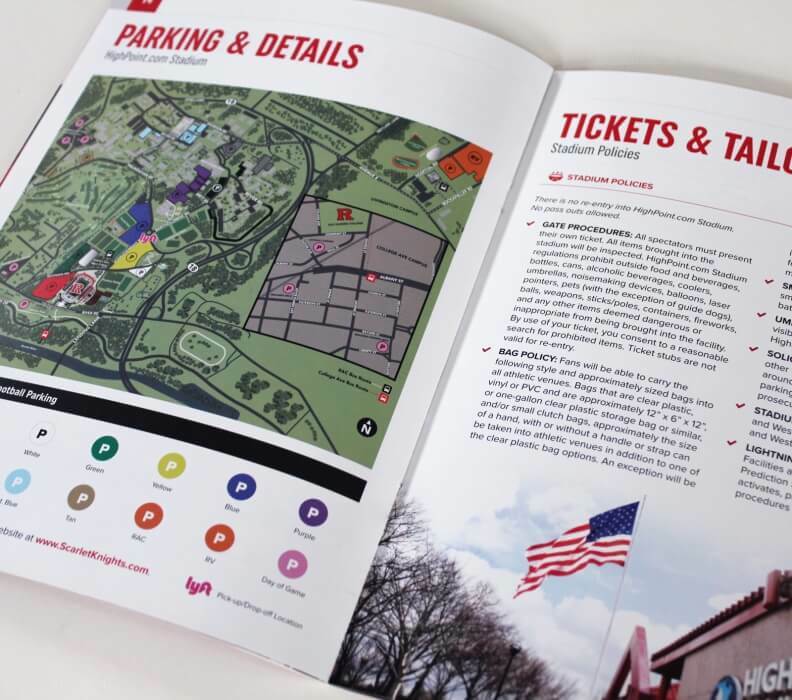 The Student Guide and the Fan Guide were designed with two distinct styles, including unique headers, fonts, page numbers, and design features that still align with strict Rutgers branding guidelines. The 25-page Student Guide has all the basic information (student tickets, seating maps, tailgate policies, athletic department contact information, alumni association, the Yard on College Aveand a calendar of annual events) along with a fun section with information on the marching band, student section, spirit program, fight songs, and chants! 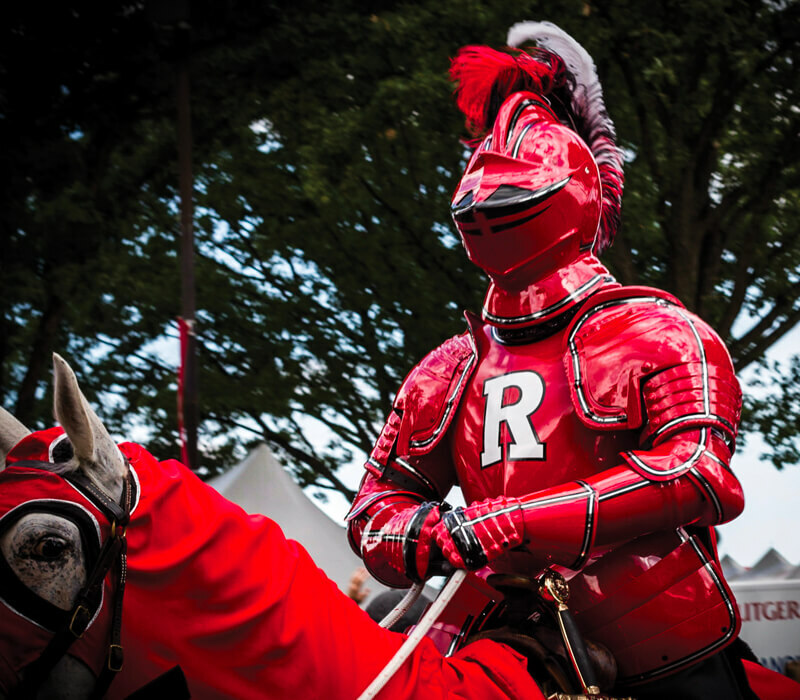 The 40-page Fan Guide includes additional information about local hot spots and preferred partners as well as transportation, parking details, and a custom-drawn map of the area – which is important, since Rutgers is a huge school with five campuses.